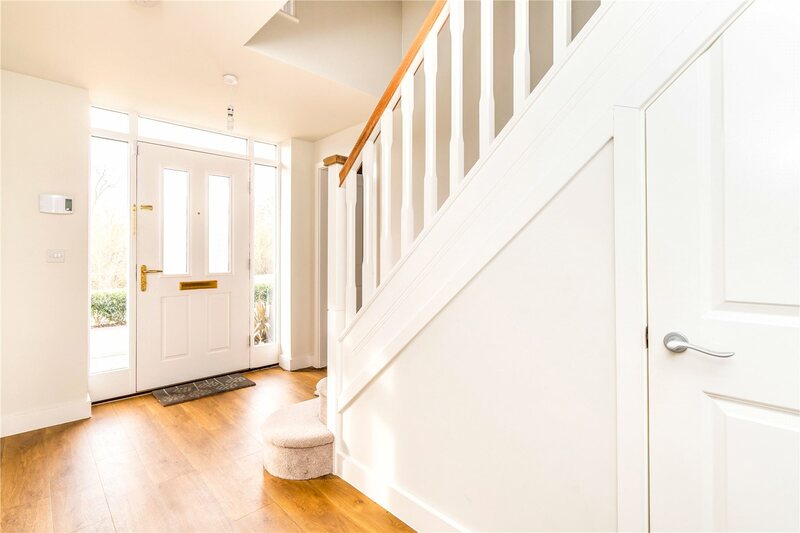 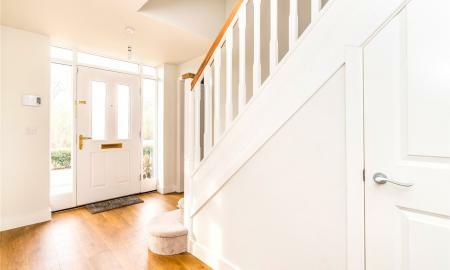 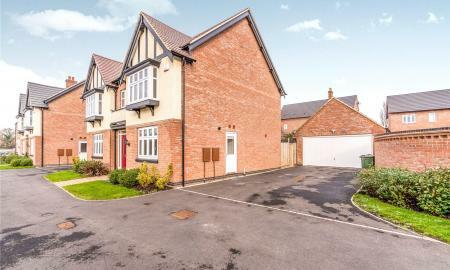 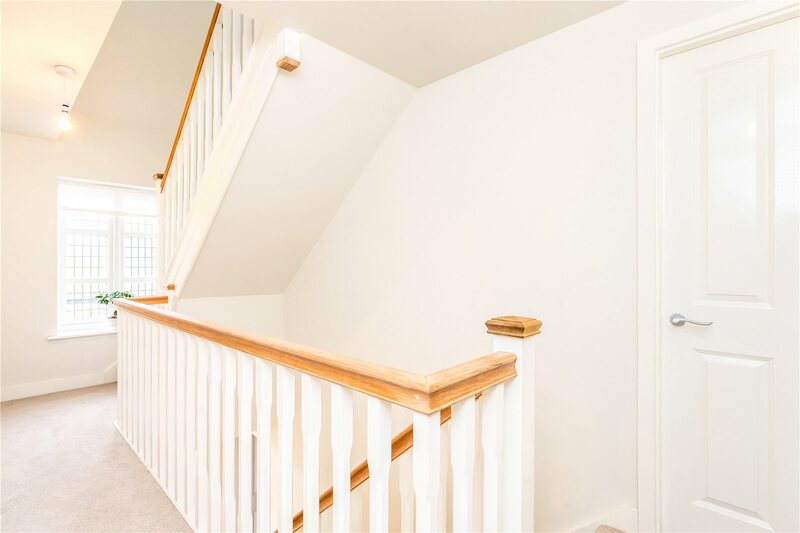 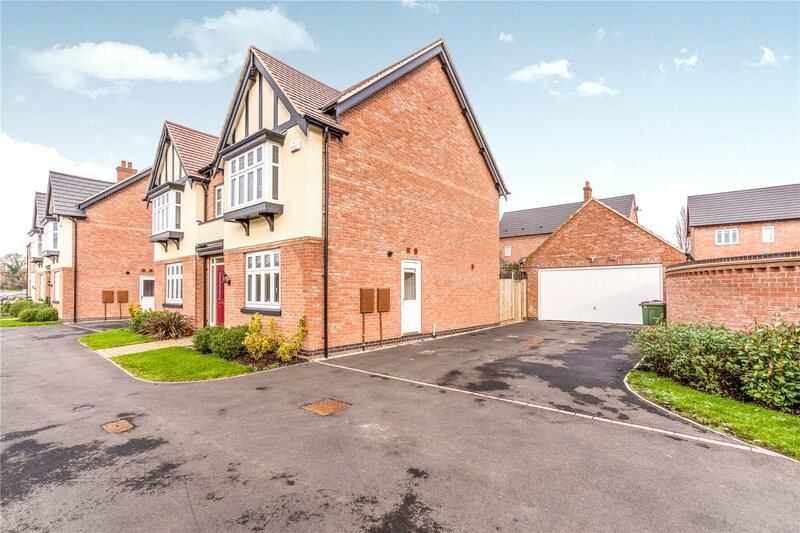 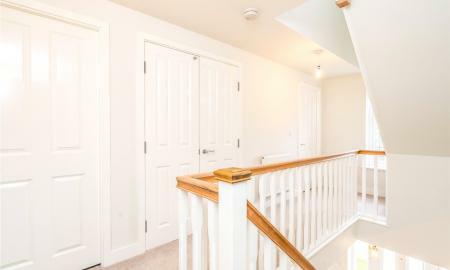 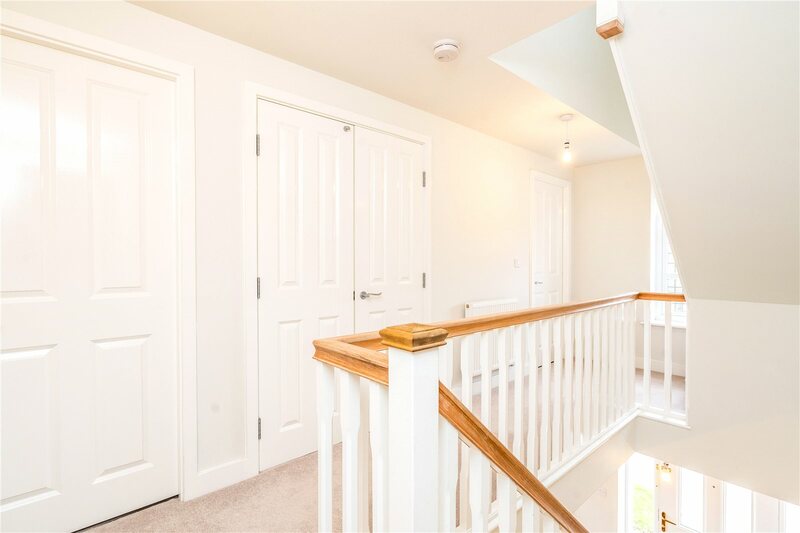 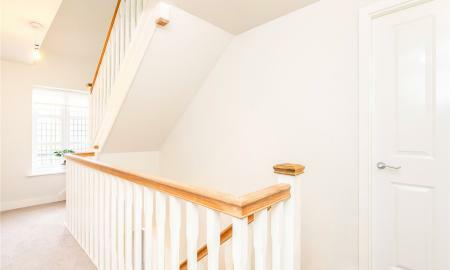 Enter the property into hallway with doors leading to the Lounge, Office, Kitchen/Family Room, WC, Under Stair Cupboard and stairs rising to the first floor. 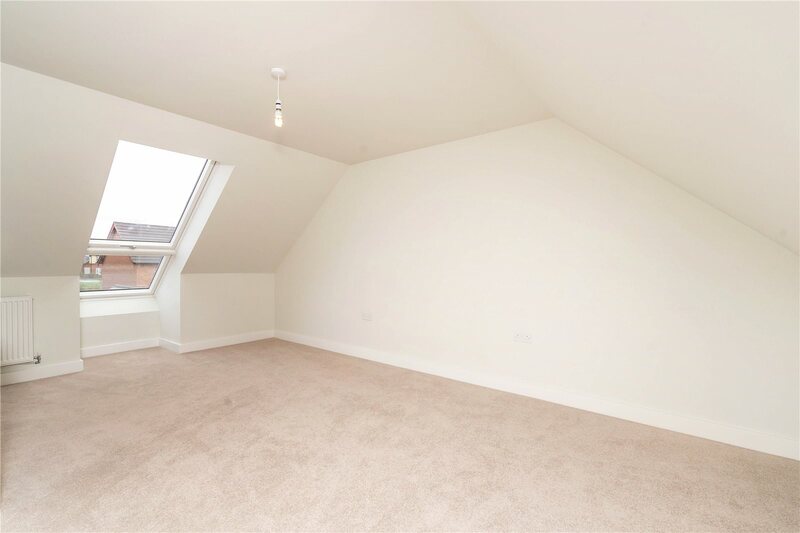 The 17ft lounge has a large double glazed window, radiator and TV point. 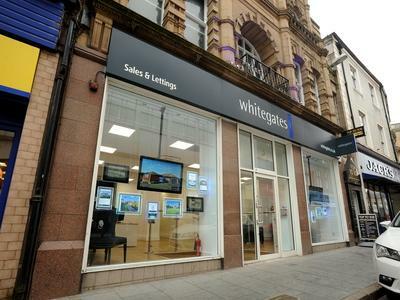 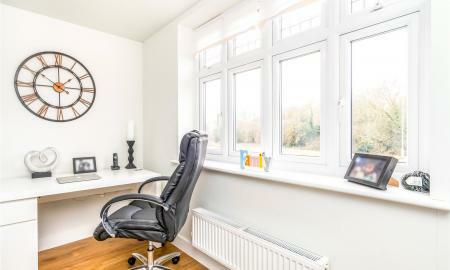 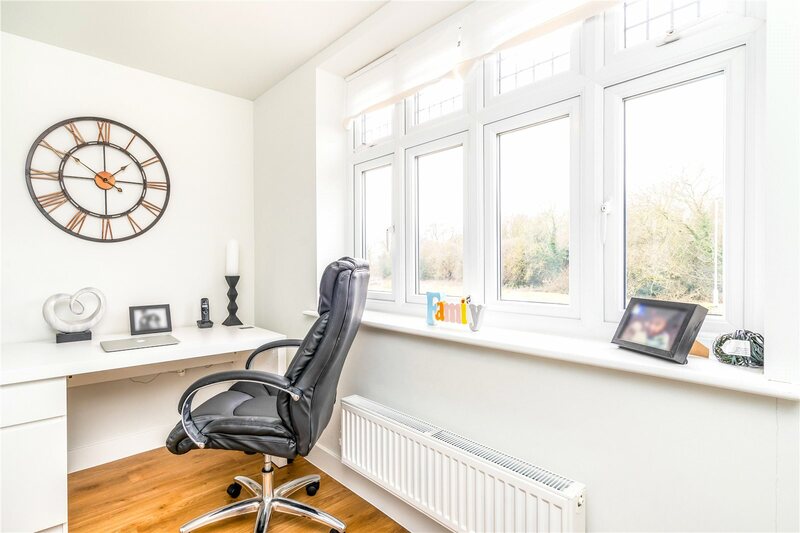 The office has a large double glazed window overlooking the front of the property, a radiator, telephone point and plenty of power points. 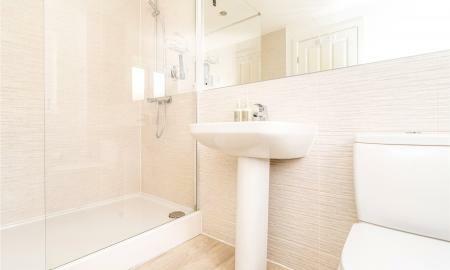 The WC is half tiles and includes a toilet and wash basin. 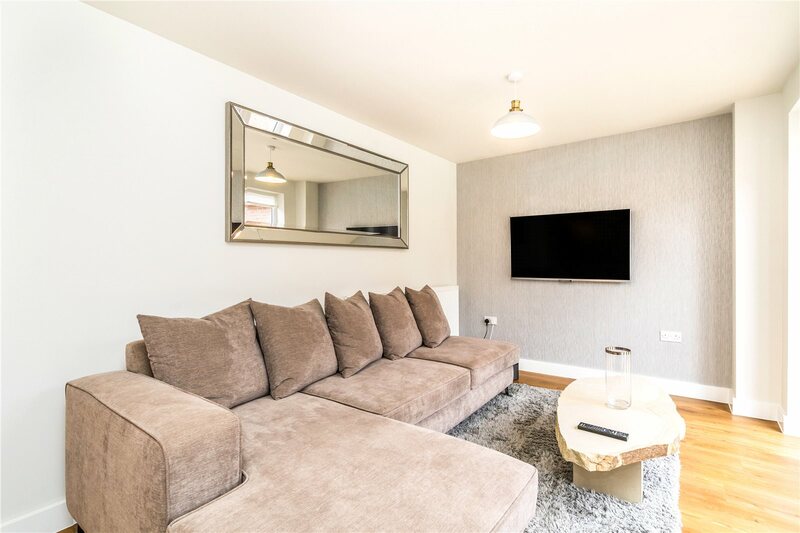 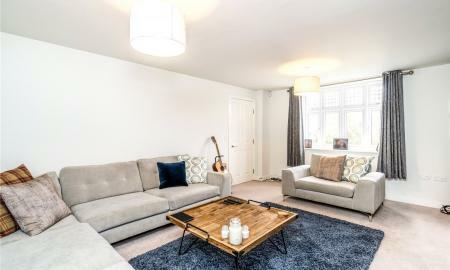 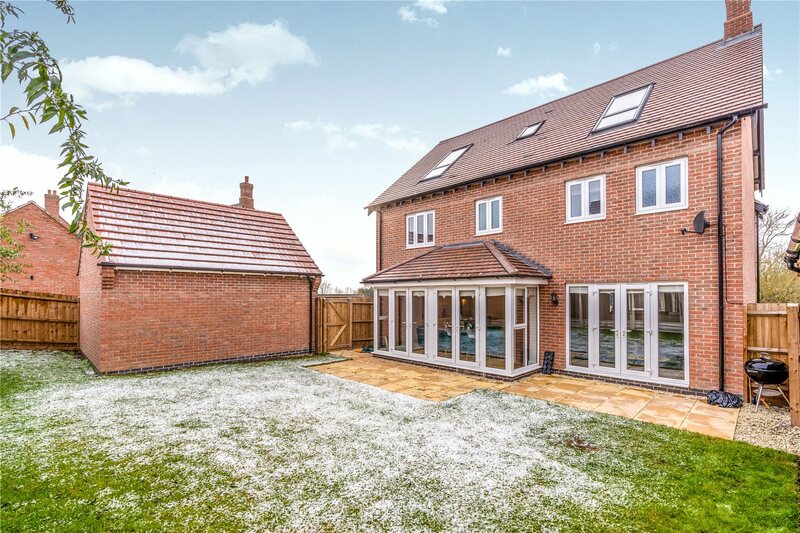 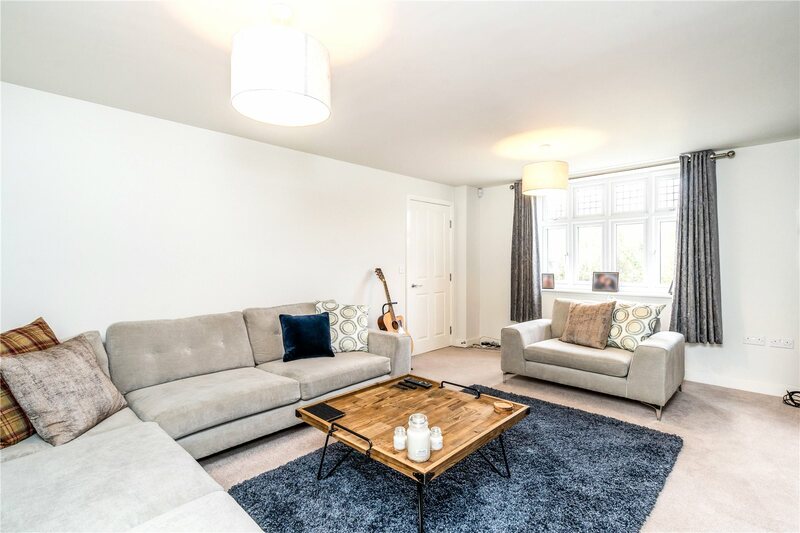 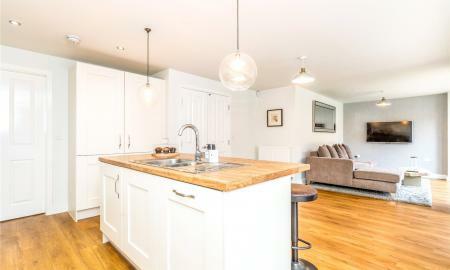 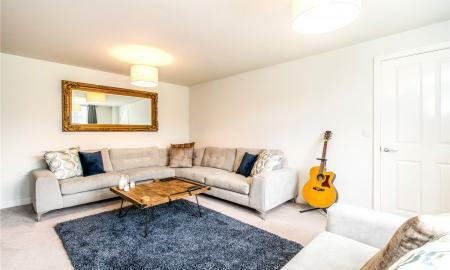 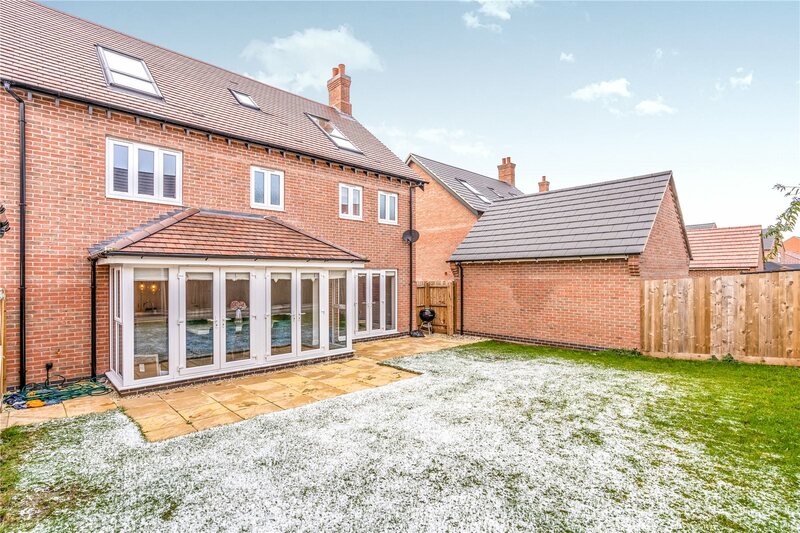 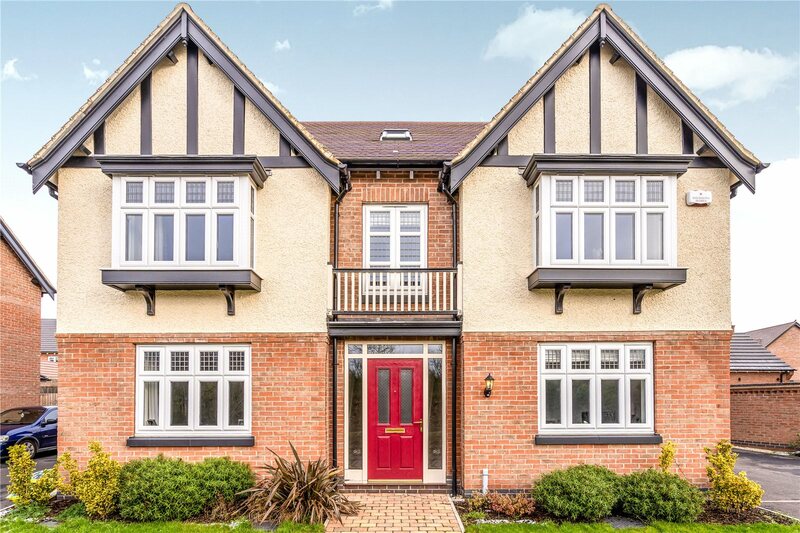 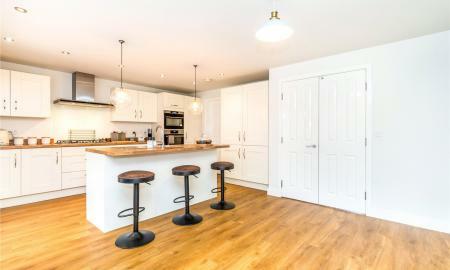 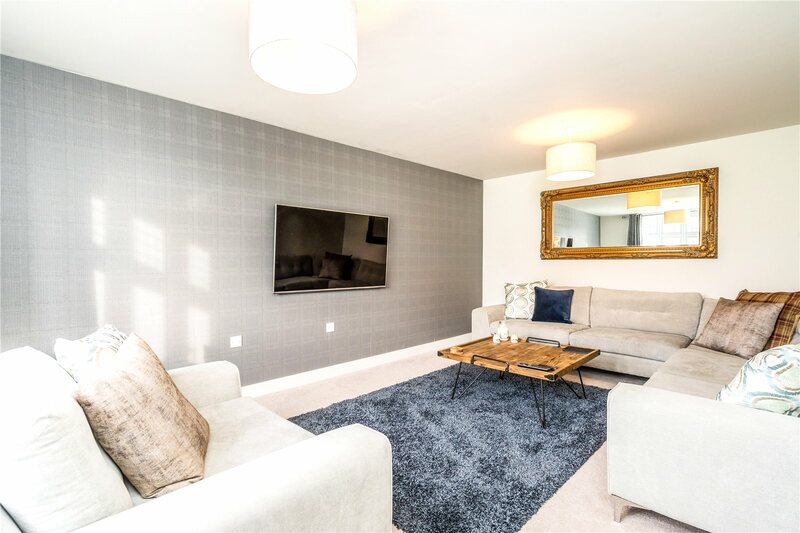 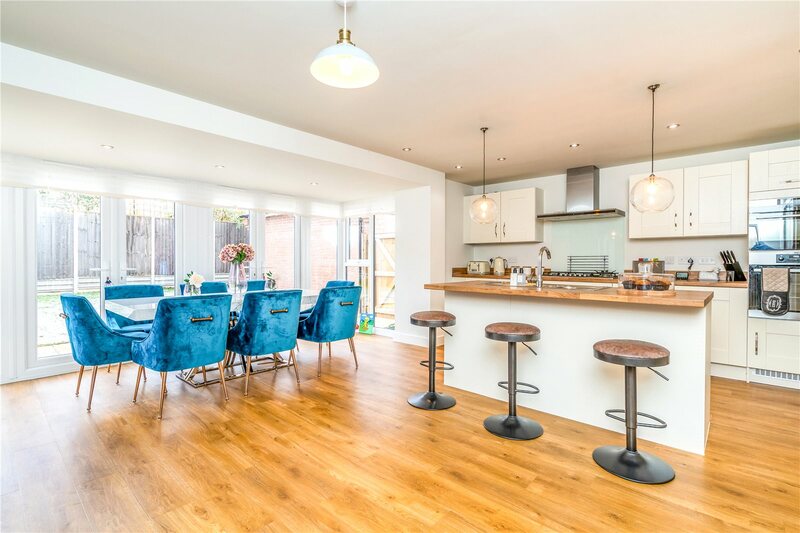 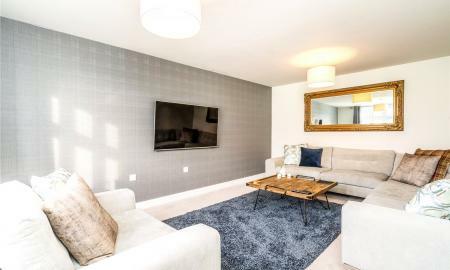 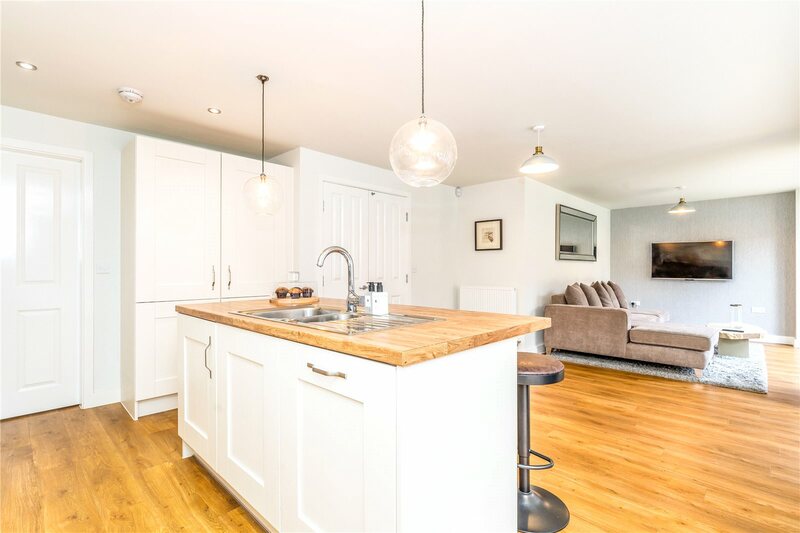 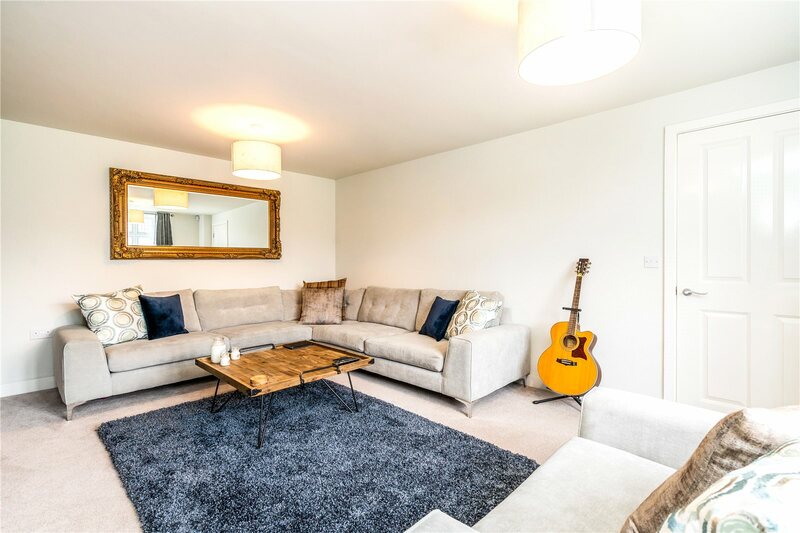 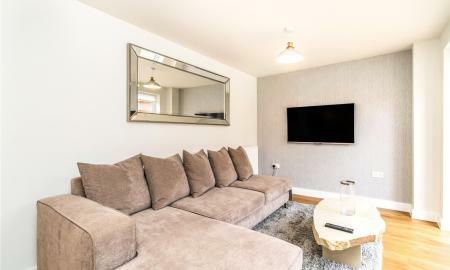 Heart of the home superb setting for entertaining, fitted with modern kitchen to include integral appliances, island with seating, Dining area with bay overlooking the garden, Lounge area with doors opening out to the rear. 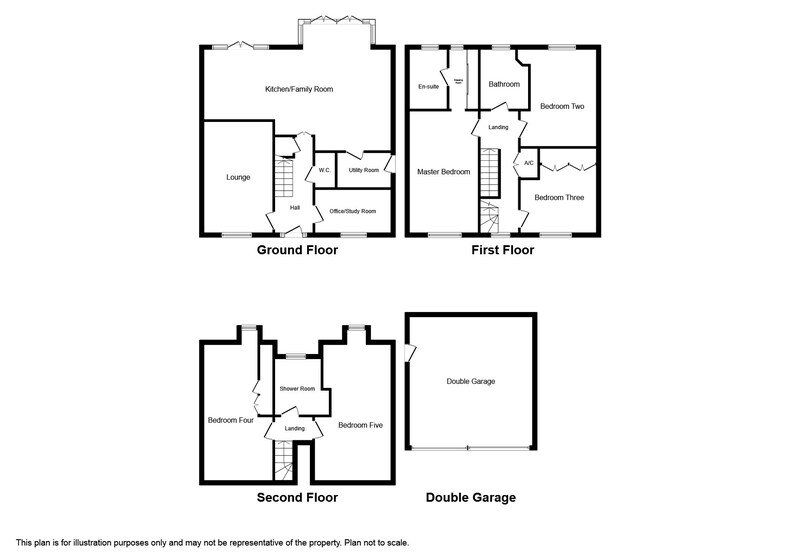 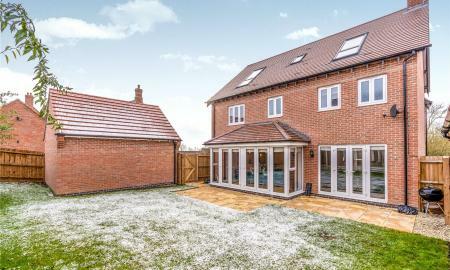 First floor Landing: Spacious area with window to the front, access to bedrooms and bathroom. 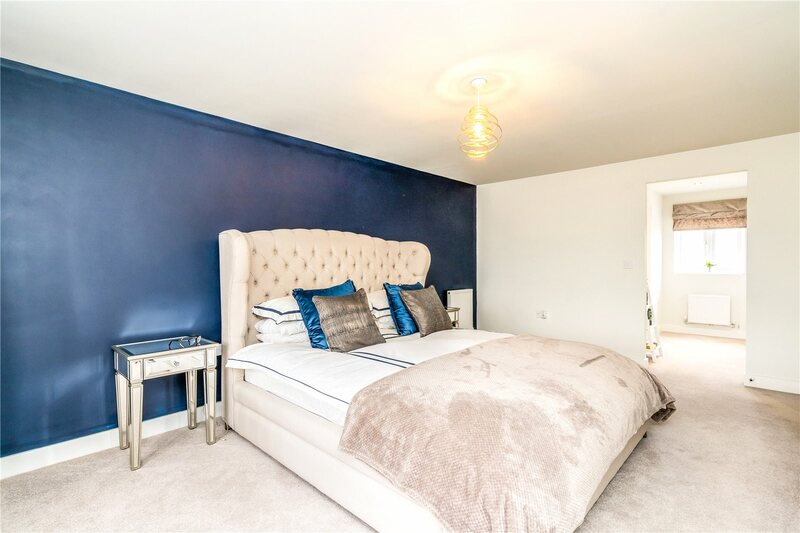 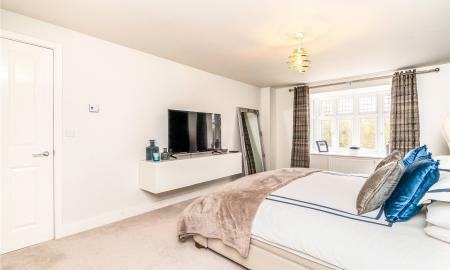 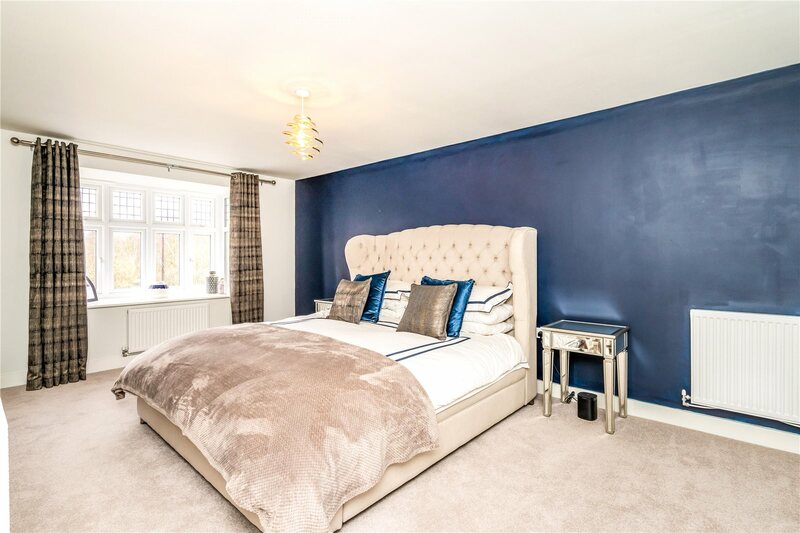 The master bedroom is on the first floor running the length of the property with a large double glazed bow window at the front. 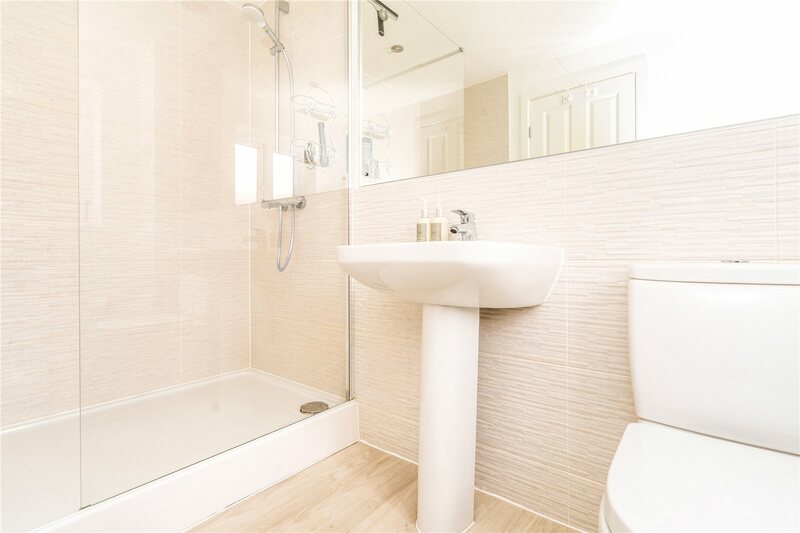 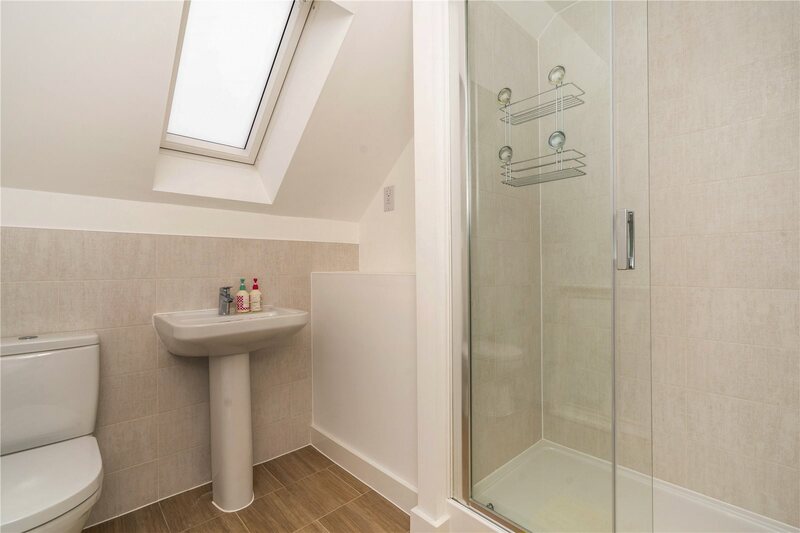 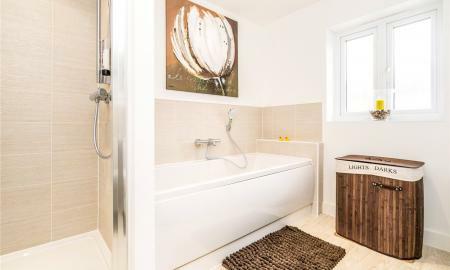 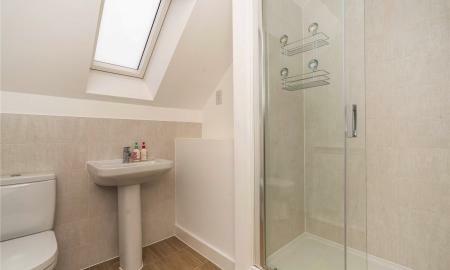 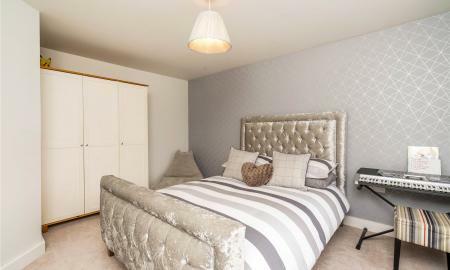 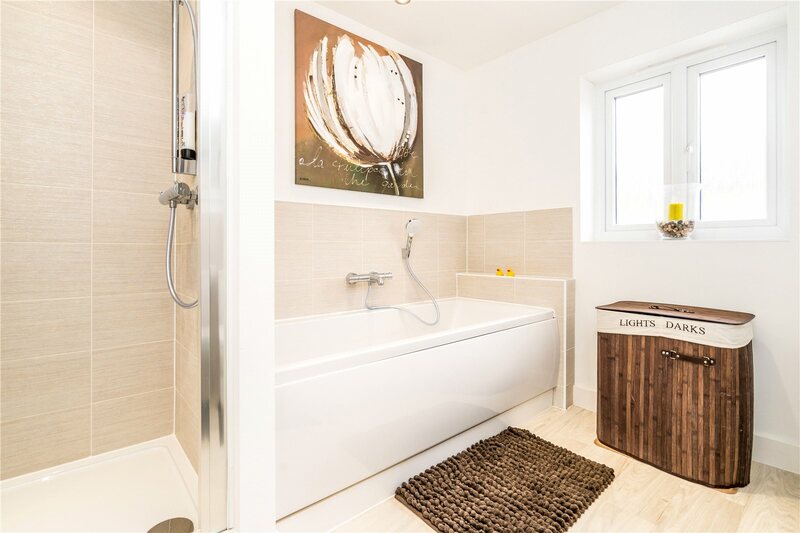 Leading through to a dressing area with fitted wardrobe and three piece en-suite with a toilet, wash basin, heated towel rail and double size rain shower. 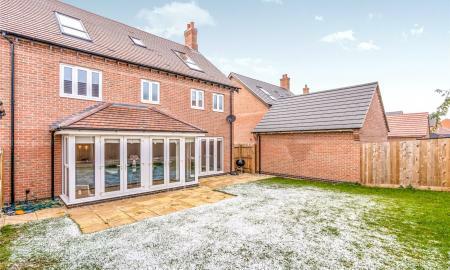 Has a double glazed window overlooking the garden. 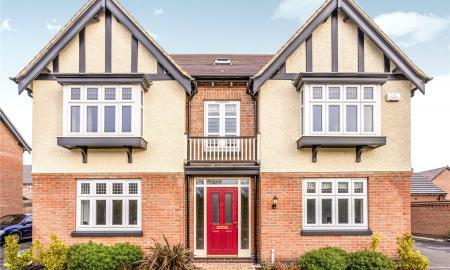 Bay window overlooking the front of the property. 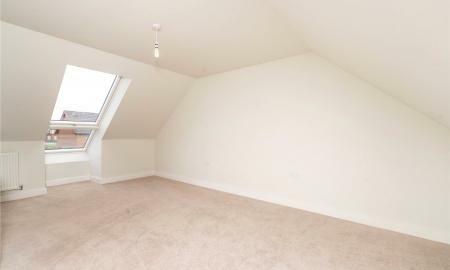 Fourth bedroom located on the second floor with a double glazed Velux window. 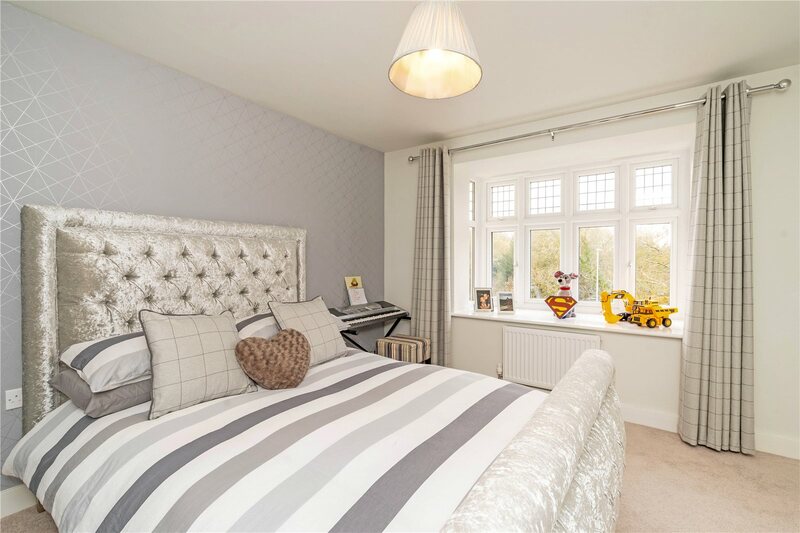 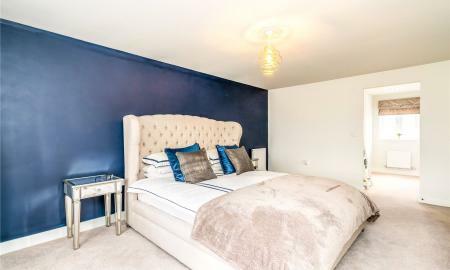 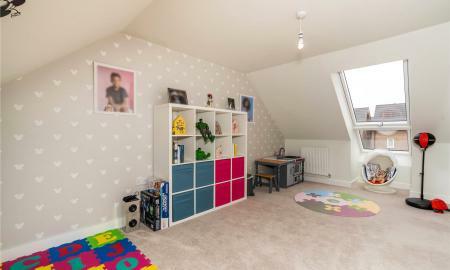 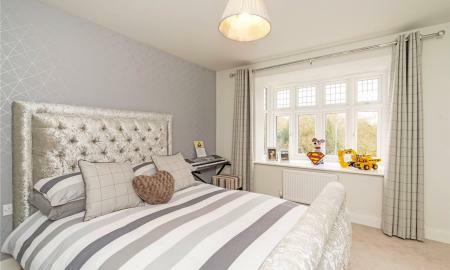 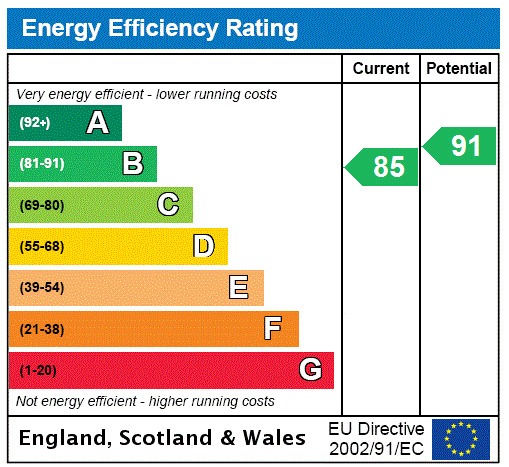 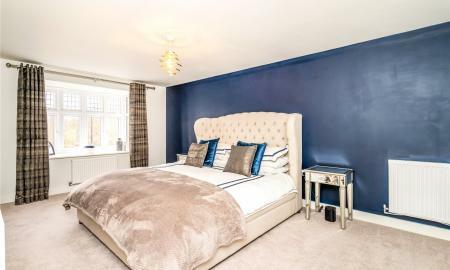 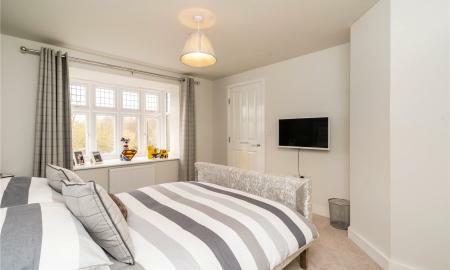 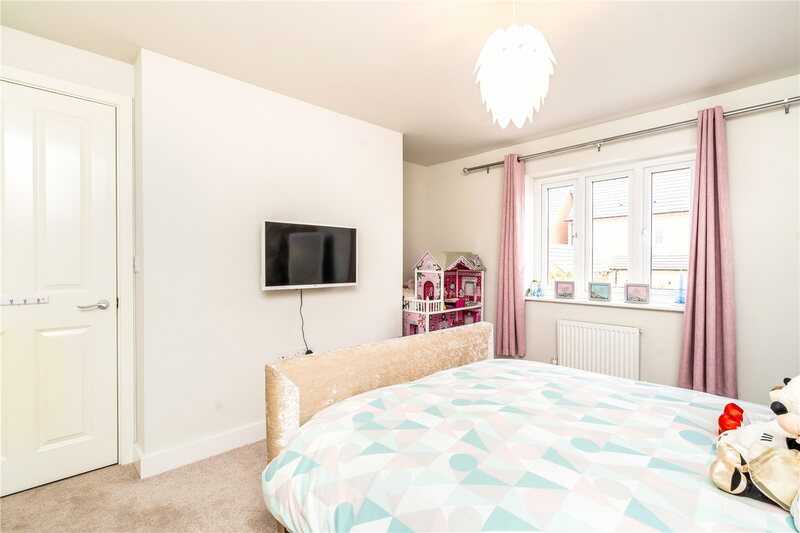 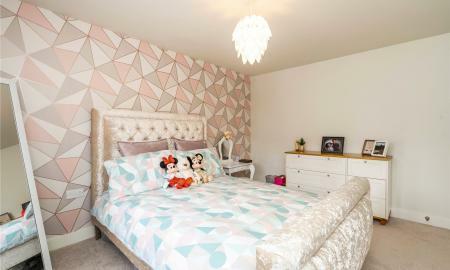 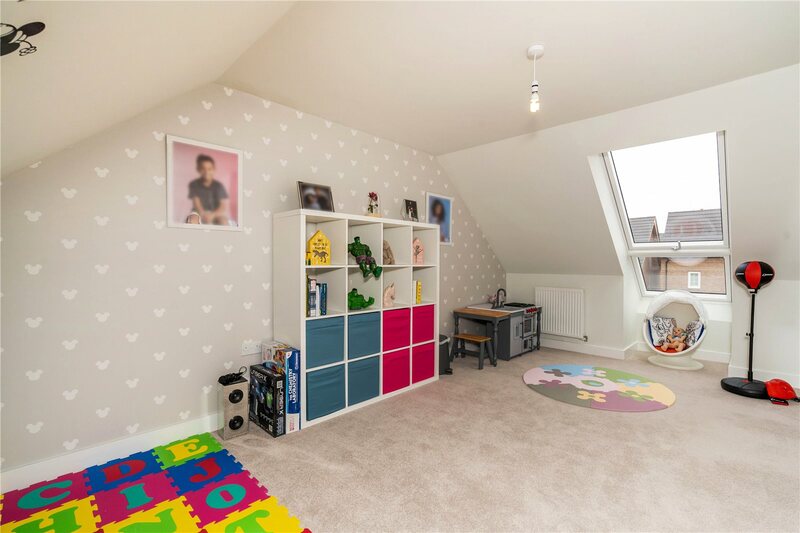 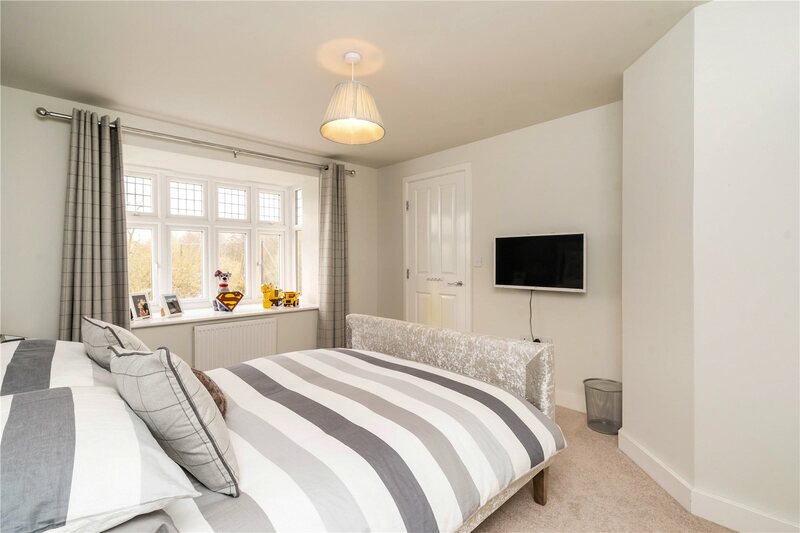 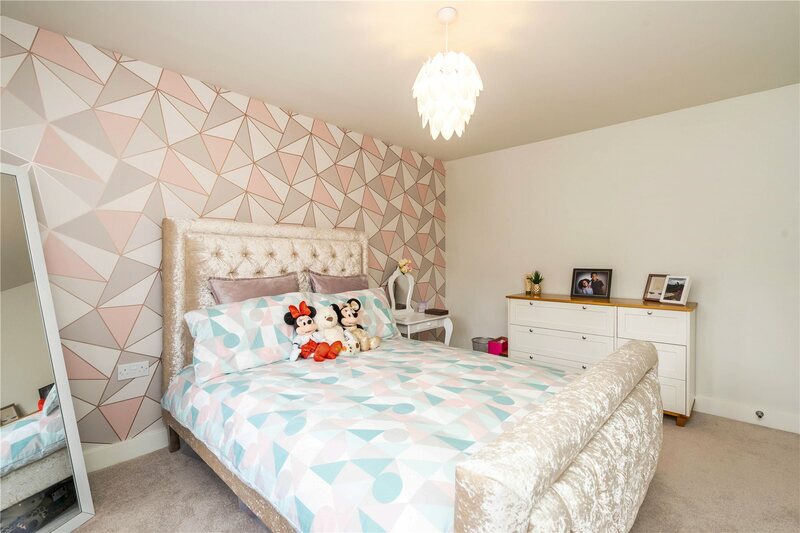 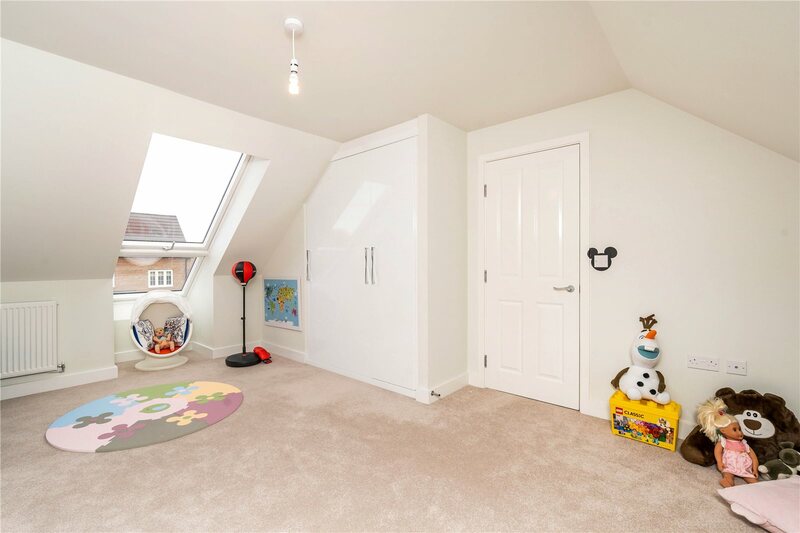 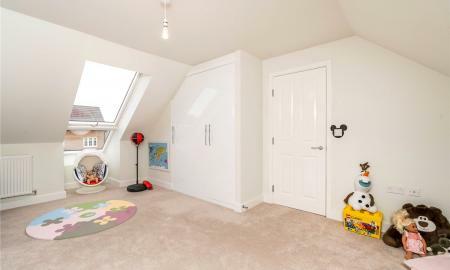 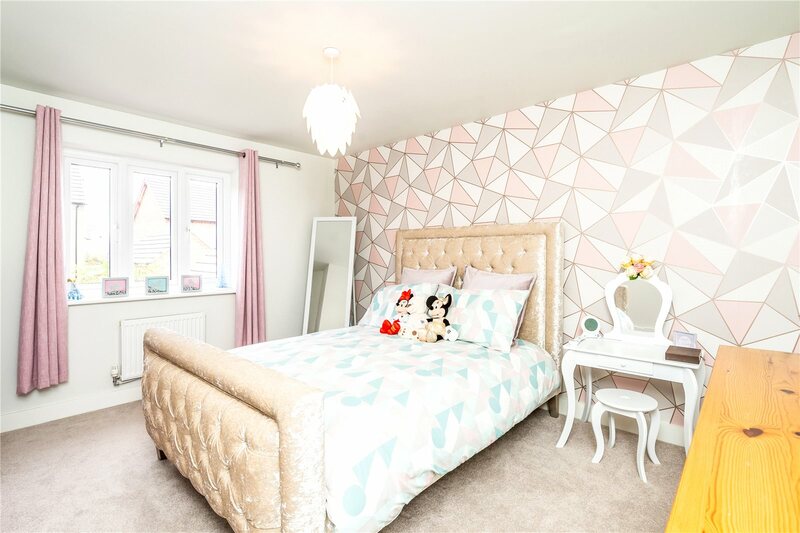 Fifth bedroom is also located on the second floor with a double glazed Velux window to front elevation.